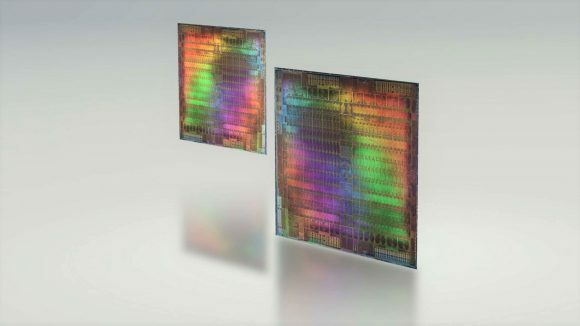 Fresh rumours have filtered back from last week’s Game Developer and Graphics Technology Conferences in California about the make up of the next generation of AMD’s Navi graphics cards. While you’re off grabbing a bucket of salt to go with these rumours, why not pick up a nice reposado tequila and some wedges of lime too? This doesn’t have to be a painful experience for any of us. 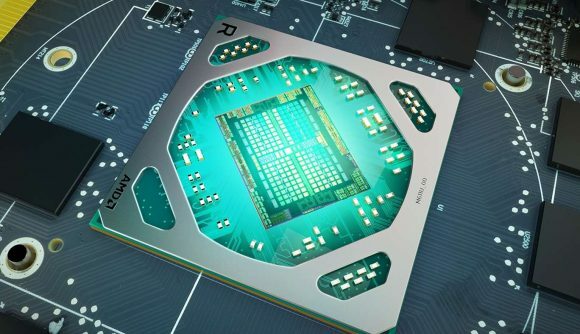 A new video claims to have exclusive information about the upcoming AMD Navi GPUs, with the assertion that Team Radeon has already nailed down its plans for Navi 10 and subsequent Navi 20-based graphics cards. The former will launch this year, as expected, with the updated Navi 20 GPU design to follow in 2020. At the same time, while the Navi 10 chips are expected to be looking at GTX 1080 / RTX 2070 level gaming performance, these upgraded Navi 20 GPUs are suggested to be aiming more at the RTX 2080 or RTX 2080 Ti level. That’s mighty ambitious, and it would indeed take a little more than just the expected 7nm+ redesign from the Navi 10 to 20 GPUs to push the cards on from the promised GTX 1080 performance. The video claims that there will be “improvements to fix the flaws that we’ve seen from older architectures” though doesn’t go into any detail at all about what those ‘flaws’ might be or how they’re being mitigated. We’re not expecting Navi 20 to sport anything other than a slightly updated take on the Graphics Core Next architecture, and certainly not the sort of big changes expected in the architecture to follow Navi. All in all, it’s rather lightweight and borderline spurious. The details are scarce, the source invisible and unverifiable, though the possibility of AMD working on its own ray tracing skillz for the next generation of Navi is at least something you wouldn’t automatically discount. Though I would have to say I find it unlikely that AMD will be doing anything other than making sure Navi’s compute performance is optimised for Microsoft’s DXR extension for DirectX 12. I struggle to believe AMD will actually follow Nvidia’s approach and add in any dedicated silicon – such as the type that accelerates bounding volume hierarchy calculations on RTX cards – but working to ensure its Graphics Core Next architecture has the necessary compute optimisations to rival any GTX card out there should be well within Team Radeon’s reach.